Teresa’s PhD research explores how the environment can transform issues of development, sustainability and peace in a context of post-conflict peacebuilding. Using the European Union’s peacebuilding policies in Kosovo as a case study, she examines the manner in which such EU policies are guided by the principle of sustainable development, and the role that is assigned to the environment within this. The qualitative analysis is guided by insights from political ecology and green political economy. It hypothesises that the EU has failed to comprehensively integrate the environment, through the guiding principle of sustainable development, into its peacebuilding policies. Against this background, Teresa’s research explores the relationship between sustainable development and environmental peacebuilding in more detail. Teresa also works as a Research Fellow on the EU-funded Biodiversity and Security Project (BIOSEC) at the Department of Politics where she leads a mini-project researching the illegal bird trade from the Western Balkans into the European Union. She is also a Visiting Fellow at the Marjan Centre for War and the Non-Human Sphere at King's College London. 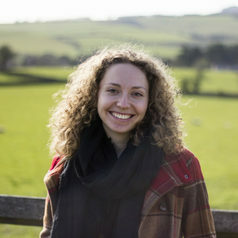 Prior to her PhD studies at the Department of Politics, Teresa completed an MA in Conflict, Security and Development at King’s College London (awarded with the Lawrence Freedman Award for Best MA Student in the Department of War Studies) and a BA in European Studies at Maastricht University (The Netherlands). Teresa also worked at the Institute for Strategic Dialogue, a London-based think tank.